Members of the AEA who served in the early fifties, will be saddened to learn of the death of John Harris. John died suddenly, at his home, in the fishing port of Brixham on 22nd June 1995, he was seventy two. 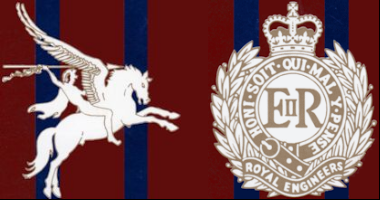 John joined the Army in 1942 and mustered into the Royal Engineers. In 1944 he volunteered for Airborne Forces and in the same year met and married his wife Andreen. He was demobbed in 1947 but rejoined the Army in 1951. 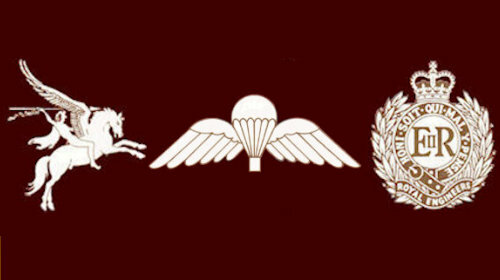 He served with 9 Para Sqn in the Middle East and was 2 Troop S/Sgt at the time of the Suez War. In the mid-fifties he left the squadron to serve with 131 Para Engineer Regt TA in Liverpool and Edinburgh. He retired from the Army in 1968 and returned to his native Brixham. John worked in the construction industry for the next twenty years and became a leading figure in his local branch of the Royal British Legion. Our condolences go to his wife Andreen, his three children and nine grandchildren. He will be missed by his many friends.